The White House has proposed removing security clearances for former heads of intelligence agencies, specifically those who have publicly and aggressively attacked not just President Donald Trump’s foreign policy, but his loyalty to the country he leads, and have, conveniently, monetized their criticisms. 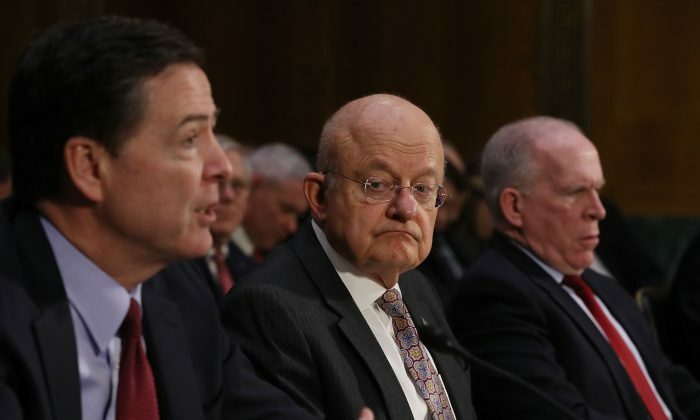 Those primarily in that limelight are former Director of National Intelligence James Clapper and former CIA Director John Brennan. Clapper was referred to in the Los Angeles Times on Aug. 24, 2017, as a former “top spy”—and with connotations of intrigue and espionage implied, a la John Le Carré. However, his actual career as an intelligence desk jockey hardly qualifies him for the romantic appellation; former “top bureaucrat focused on intel matters” might be more accurate. Arguably, it is Clapper himself who should be the subject of accusations of treason. Here is an intelligence director with international standing who is undermining the President’s implementation of foreign policy; Clapper has globally disseminated ridicule and critique in exchange for substantial paychecks from private actors—the cable “news” networks, book publishers, and, no doubt, garnering substantial speaker’s fees from organizations who may not have the best interests of the United States in mind. The ironic postscript, of course, is that McCabe, a former FBI deputy director, is now the subject of a criminal referral originating with the Department of Justice. 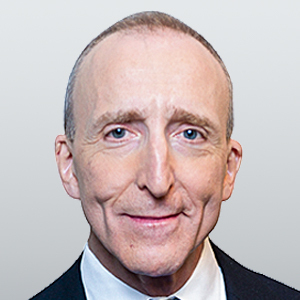 Jeffrey Smith, a former attorney for the Central Intelligence Agency and the Senate Armed Services Committee, said on PBS that it is beyond inappropriate to remove the clearances. He said it would create an atmosphere of fear, and that it would have a chilling effect, especially on First Amendment rights. His logic is flawed. Those who are no longer intelligence officials have no need or justification for the retention of clearance. It has been suggested that the president would be abusing his authority by stripping these officials of their access to top-secret classified information. However, the affected officials will continue to be capable of teaching college courses, writing books and editorials, and commenting in the media, expressing their opinions, critiques, and insults, concerning all matters and individuals, including public officials, unfettered by the threat of government action, as guaranteed by the First Amendment. But they have no First Amendment or other constitutional or statutory authority that guarantees them access to classified information—particularly classified information to which they no longer have any professional need for access. Clapper doesn’t limit his expressed concern to complaints of a chilling effect on First Amendment free-speech rights. He warns that this may be just the first step, that retirement and other benefits may be revoked following criticism of the White House. But his logic here is flawed as well. The security clearances are privileges, granted by the executive, and revocable if abused. The other matters he enumerates as vulnerable to revocation are rights and earned benefits, and are not subject to abrogation without due process. Historically, former high-profile foreign policy and retired national security officials, particularly cabinet secretaries and retired agency directors, have been guarded in their criticisms of sitting presidents, in order to avoid influencing indirectly the White House’s foreign-policy capabilities. They have applied self-restraint with regard to their personal opinions, saving their commentary for future essays and memoirs. Such respect for tradition has perhaps gone the way of public discourse—out the window. But for those intelligence officers who have chosen unseemly and potentially harmful expressions of personal opinion coupled with vindictive hyperbole, it is hardly appropriate for them to whine at the loss of the security clearances whose continued retention is a privilege. A privilege that they have abused.